During in-person voting in Collier County, election workers use electronic poll books, to check-in voters. 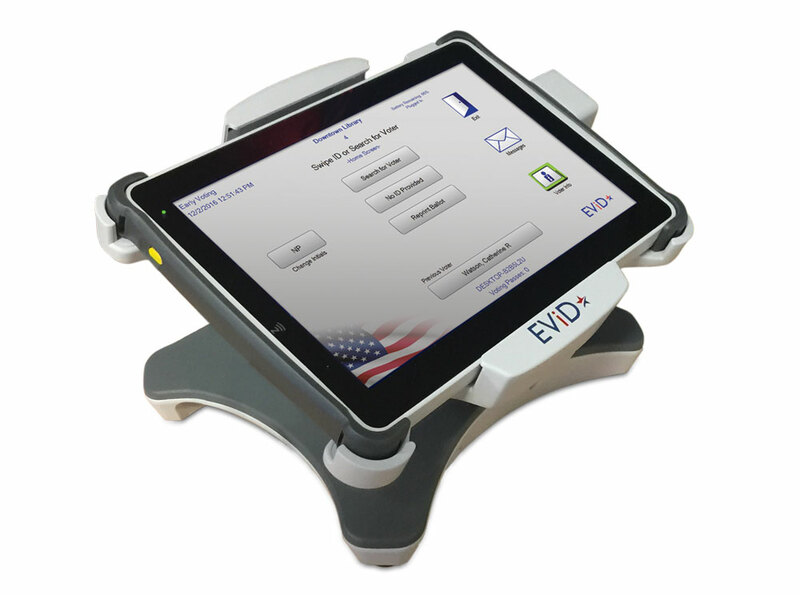 These EViD (electronic voter identification) poll books are updated in real-time with voter information that is critical to determining voter eligibility. Each voter must provide voter identification during the check-in process. A Florida Driver License or a Florida issued ID can be scanned to easily bring up the voter’s record if they choose to provide that form of ID during the check-in process. After locating a voter’s record, the election worker will verify the voter’s address. If it is determined that the information in the voter’s record is correct, the voter will be instructed to sign an oath to affirm their eligibility to vote. This signature will be compared with the identification provided to the election worker. Upon completion of the check-in process, the election worker will be given a voting pass and directed to receive their ballot. Note: Provisional voting is available for voters without proper identification or whose eligibility cannot be verified. Once a voter has received their voting pass, they will proceed to the ballot distribution table. During early voting, an election worker will print the voter’s ballot “on-demand.” On Election Day, ballots are pre-printed and voters must vote at their assigned precinct where their unique ballot style is located. Once a voter receives their ballot, they will directed to a voting booth where they can mark their ballot in private. Ballots in Florida are “marksense” ballots, as required by law. In Collier County, voters fill in ovals to vote so the ballot can be tabulated electronically. Instructions are included on the ballots, which are printed in English and Spanish. After marking their ballot, voters will be directed to the DS200 optical scan voting system where they will insert their ballot for tabulation. 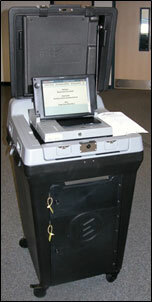 The DS200 captures and tabulates votes, and automatically drops the ballot into a secured ballot box for retention. Designed to better capture voter intent and improve the election experience, the DS200 will notify the voter if they cast a blank ballot and/or over-votes a contest, giving them an opportunity to correct the ballot before it is counted. All Florida counties must use marksense tabulation equipment, such as the DS200 (F.S. 101.56075). Note: If voting a provisional ballot, the voter will not insert the ballot into a DS200. ADA-compliant ballot marking devices are also available at each polling location during early voting and on Election Day. The ExpressVote may be used by individuals with disabilities to assist them with marking their ballot, which can then be scanned and tabulated through our DS200 optical scan voting system. 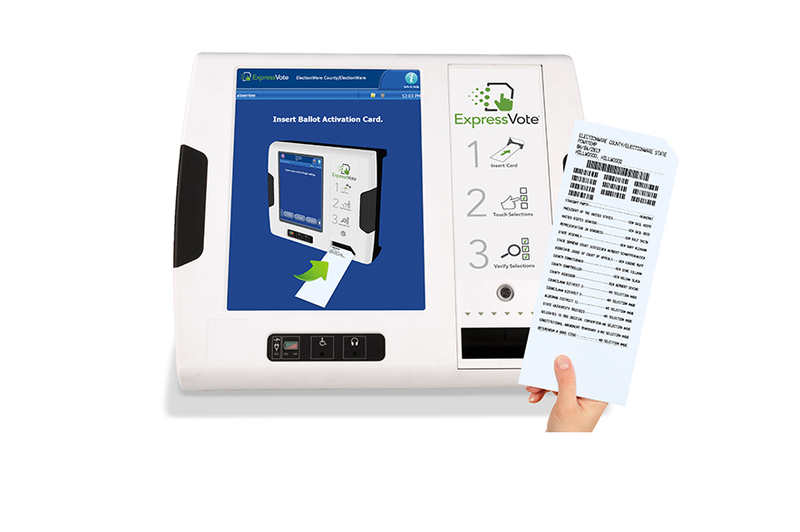 The ExpressVote is a touchscreen device that provides directions in both English and Spanish. The device also has audio capabilities and an accessible keypad equipped with Braille and tactile navigation buttons, and the ability to use rocker panel and sip-and-puff tools.